Act now and enjoy an extra 15% discount on most products online at CherryWorks. Save 35% when you buy more online at CherryWorks. 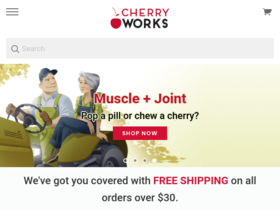 Enjoy free shipping on all orders from Cherry Works online. Check out CherryWorks online for their latest special offers.